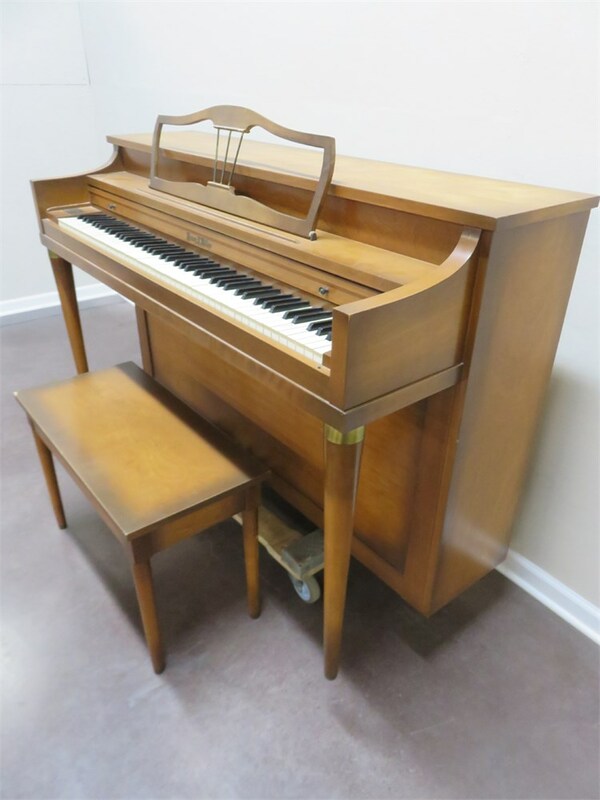 Here is a great piano for someone that is in their first few years of lessons! 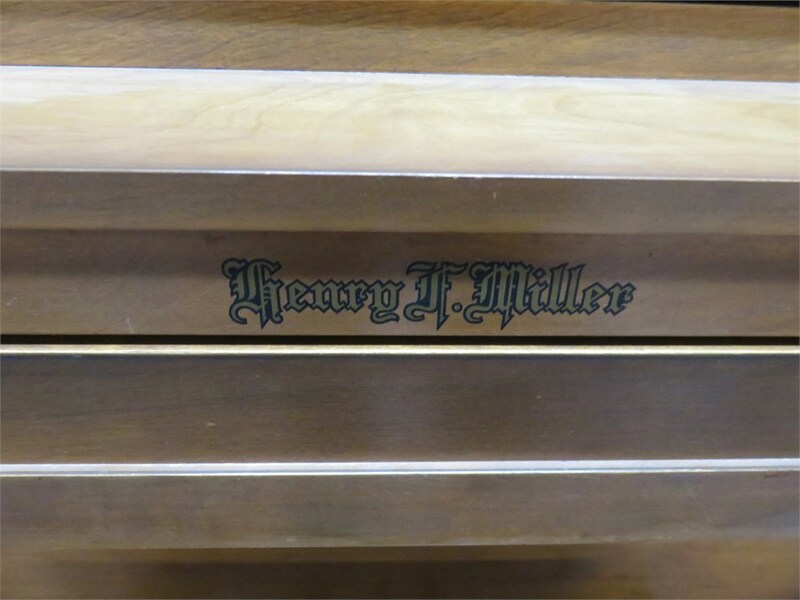 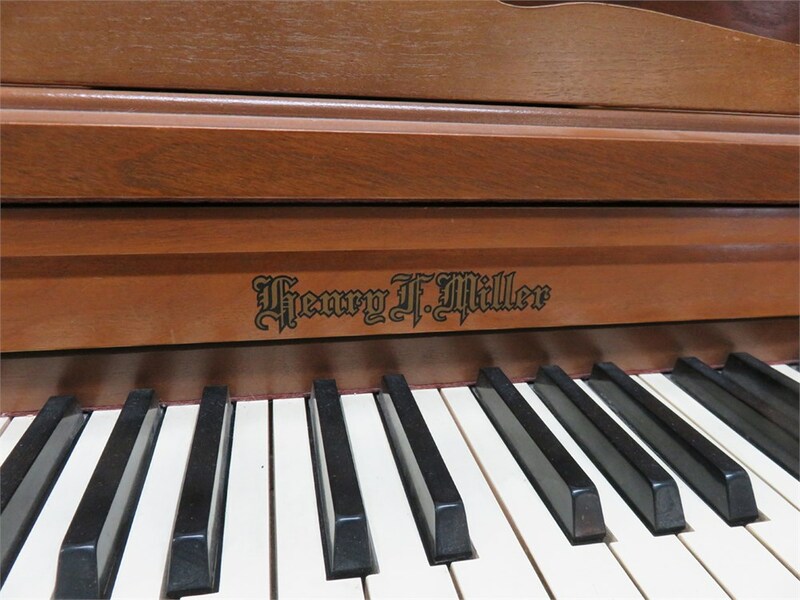 This Henry F. Miller spinet piano features an antique cherry cabinet and a simple style. 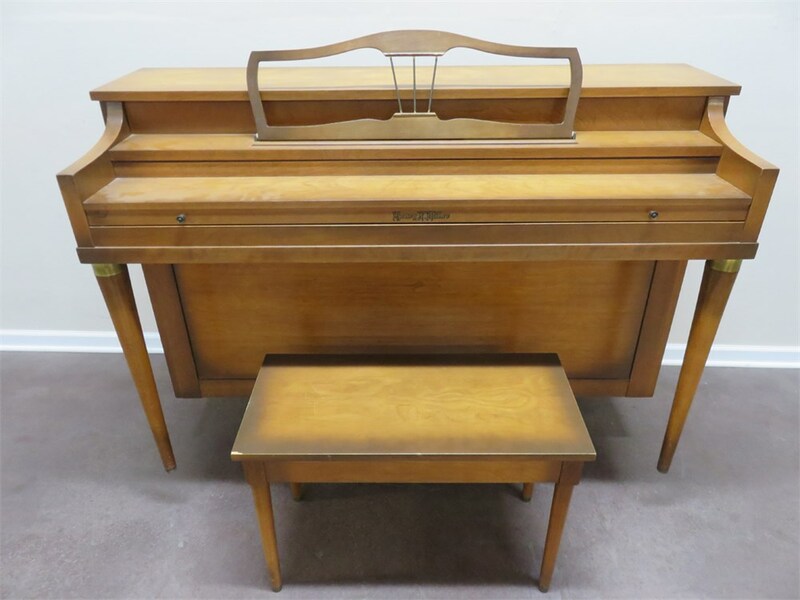 The music desk is the center piece of this particular spinet and features rails and a unique book design on the top. 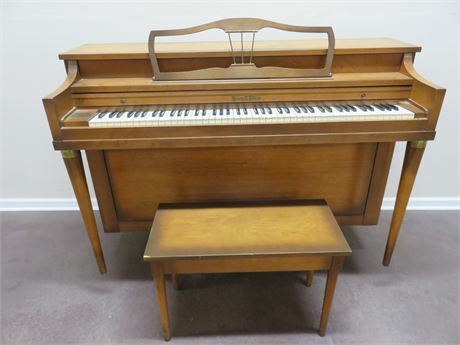 The rounded legs help keep the style simple. 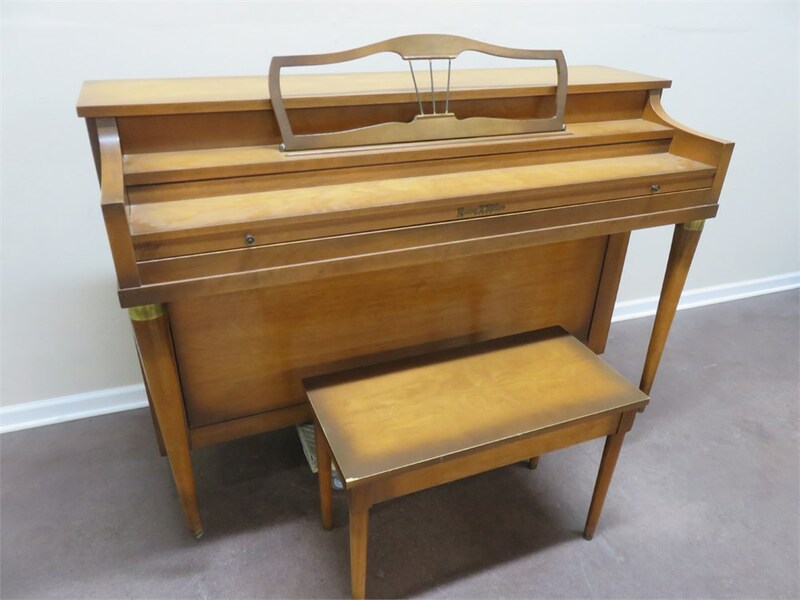 The included matching bench gives the piano a slight rich color and will be very comfy as you get lost playing this piano. 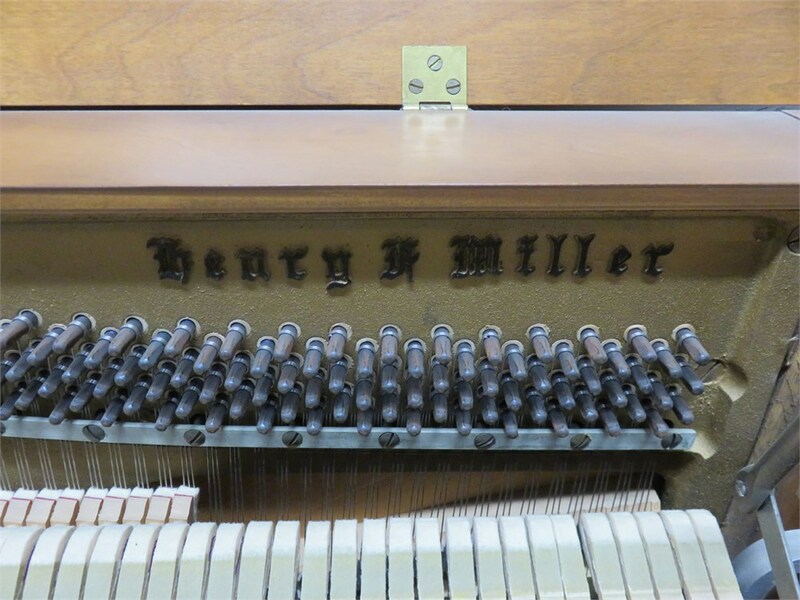 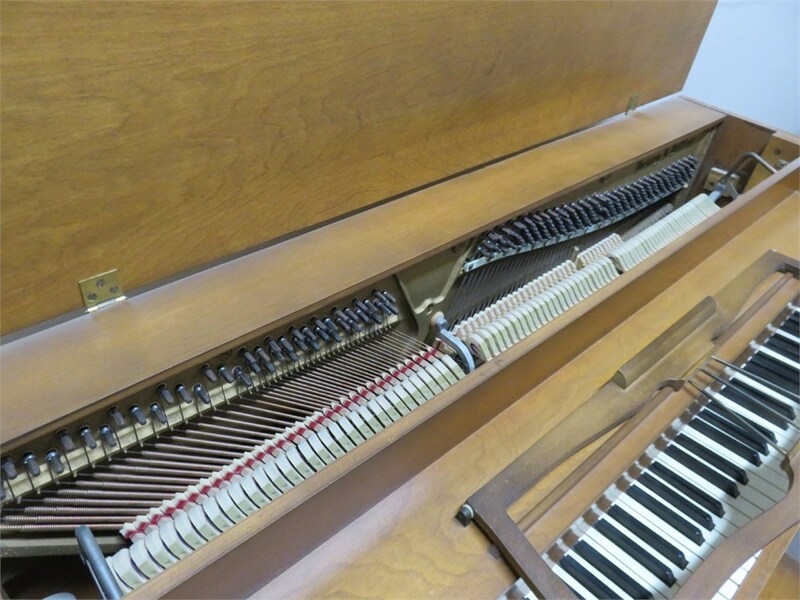 The exact age of this piano is unknown, so it would be safe to assume that it will need to be professionally tuned.